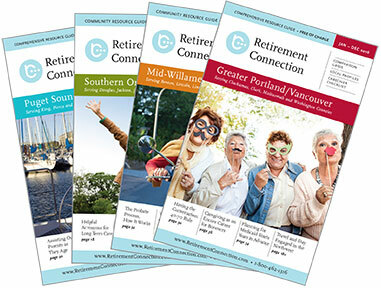 The new edition is hot off the press and hopefully you have received copies already. Let me know if you would like more and how many. We are honored once again to be the official resource guide for the Alzheimer's Association, Asante Hospitals, Mercy Hospital, and Rogue Valley Council of Governments. 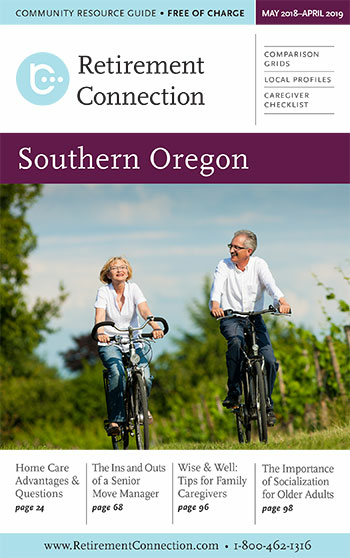 We hope you can join us at one of the events below and help celebrate Retirement Connection of Southern Oregon. The Release Party and Happy Hour are great ways to network, connect and meet new referral sources- don't miss out! Thank you to all of our sponsors and to each of you that uses the guide and website.